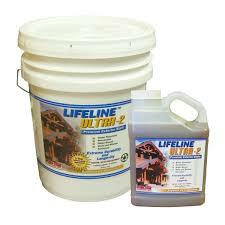 Ultra-2 is PermaChink's best selling, highest performance exterior wall stain. It provides excellent UV protection. 2 coats of stain followed by Lifeline advance Topcoat (recommended). 350-450 sq. ft per gallon first coat and 600-800 sq. ft. per gallon on the second coat. Covered by 5 year limited warranty.